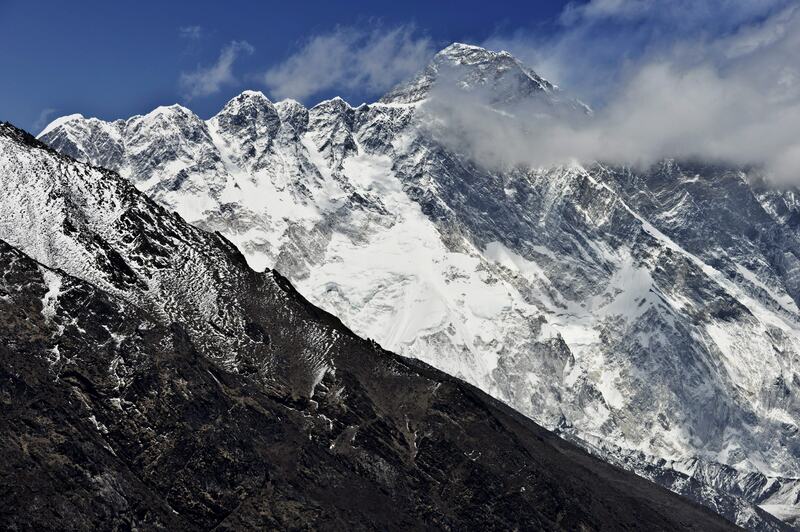 Friday marked one of the deadliest days on the world's highest mountain, when an avalanche on Mount Everest killed at least 12 Nepalese guides and left as many as four people missing. The accident swept the slopes around 6:30 a.m below Camp 2, according to officials, after the guides had left to fix ropes for other climbers. A total of six people were also injured when a group of about 50 were hit by the avalanche at more than 20,000 feet, CNN reports. As rescue workers recovered bodies from the snow and ice, they continued to search for the missing. The injured were taken by helicopter to nearby hospitals. Local Nepalese act as guides for the hundreds of climbers who make the ascent to the world's highest peak each year. Guides were beginning to set up the ropes for the anticipated climbing season, which usually begins in mid-May, when the accident struck. The Sherpa guides were carrying up equipment, tourism ministry spokesman Mohan Krishna Sapkota told the Guardian. The avalanche hit the area of an ice fall called "popcorn field," where the space resembles a giant bowl of popcorn with ragged chunks of ice. Additionally, it's known for a steep glacier fractures over cliffs, forcing Sherpas to find a new route each year. Friday's incident is believed to be the single deadliest accident on the mountain. In 1996, year eight climbers were killed in one day after a storm hit near the summit. Earlier this year, Nepal announced preparations to limit congestion on routes, speed up rescue operations, and manage the stream of climbers.